Welcome in, my new Hot Chocolate Bar! I will say that the one I had last year was a lot more intense, this year I chose for simple, quick and of course, CHEAP! Browsing through my favorite store (The Dollar Tree) I went in looking for one item, but of course that never actually happens. I never feel too bad about “splurging” at The Dollar Tree because everything is a dollar! Can’t ever go wrong there! While walking the aisles seeing all of the Christmas cheer, the craving for Hot Chocolate came over me! I decided to have a quick and cheap shopping trip that was sure to keep me warm this season! What’s in my Coffee Bar? This is just a mini Hot Chocolate Bar, feel free to get fancy with yours! 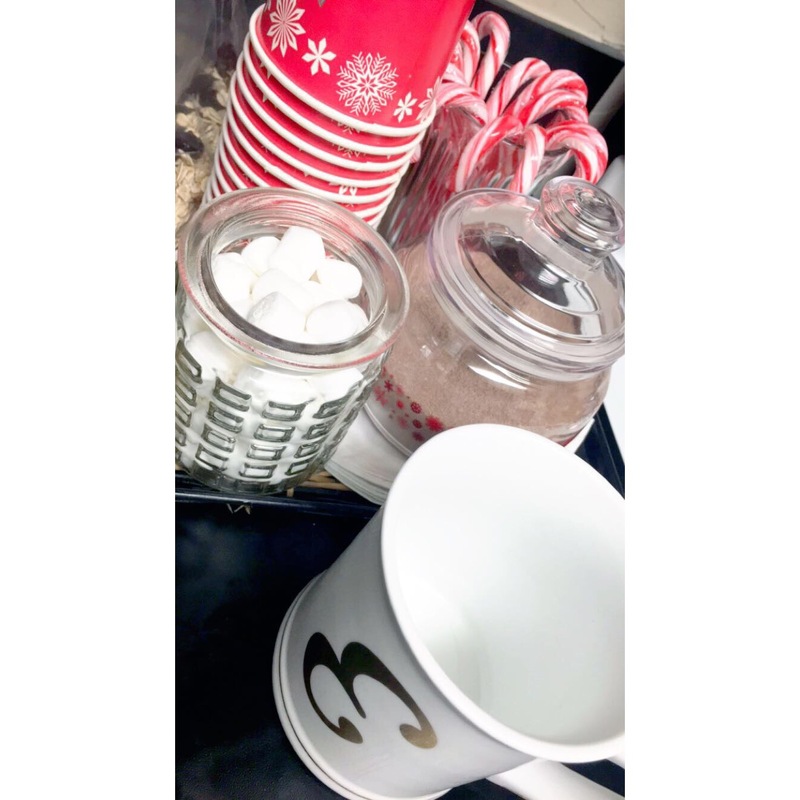 Here are some ideas of what to add to your Hot Chocolate Bar! 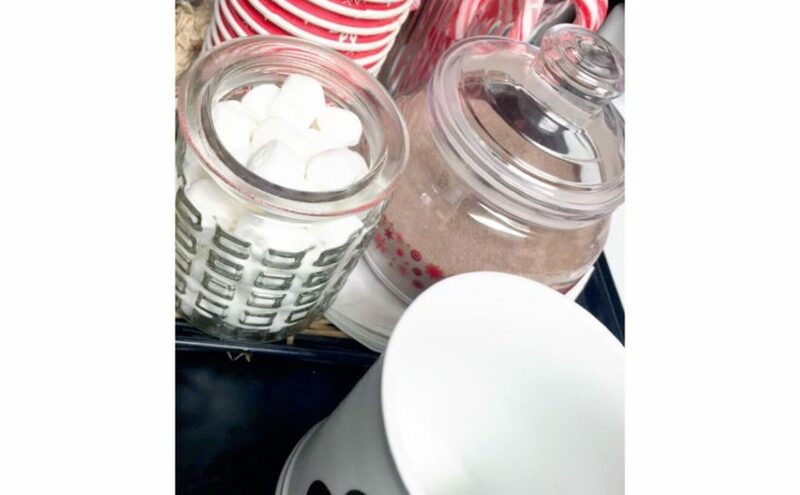 What to Add to Your Hot Chocolate Bar? Best thing about the items listed above? 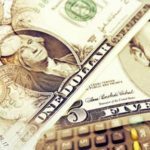 You can find the majority of the items above at your local Dollar Tree or Grocery Store for under $3 each!